The LLC's operating agreement governs the activities of the capital accounts, such as the authority of the member keeping the accounts, which activities trigger a change in the capital accounts, and how the accounts are affected by such changes. Each contribution to the capital account is itemized in terms of a dollar amount, reflecting the amount of cash or the fair market value of real property contributed. Using our earlier example, one member might have contributed $50,000 in cash, and the other member might have contributed property for which the fair market value is $50,000. Both would have $50,000 recorded in the capital accounts. Each member of a limited liability company has his or her own capital account. Periodically, when the company incurs profits or losses, the member's capital account increases or decreases proportionally. For example, if the company saw a profit of $10,000, each of the 50 percent owners in the earlier example would see $5,000 added to each capital account: The owners would now each own $55,000 worth of the business. The following year, if the business lost $12,000, each owner would see his capital account decreased by $6,000: They would have $49,000 each invested in the company. 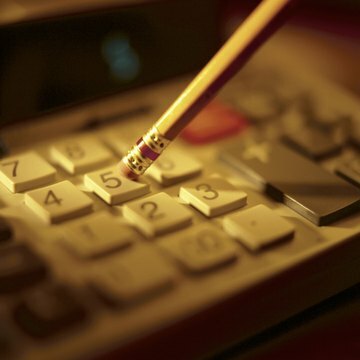 Any taxes, discrepancies, or changes in the capital structure of the company will affect a member's capital account. Such changes are usually agreed upon by each member in the company's operating agreement, the governing document. As long as the operating agreement doesn't conflict with state laws, LLC members may make any arrangements they like. For example, two $50,000 owners might agree to distribute profits and losses differently from a 50-50 split, but the operating agreement must state what the arrangement is. Because a capital account is simply a running total of members' ownership in the company, it can be created very simply. A company may create a capital account with a spreadsheet, accounting software, or other accounting system. The bookkeeper or accountant of the company creates a capital account by keeping a log of financial activities for each member. Maintaining capital accounts for each individual member is the simplest way for a company to remain organized. Although the terms of the operating agreement must be followed, they are not set in stone. It is often possible to renegotiate the terms of the operating agreement in order to change a member's percent of ownership in the company, or the amount he receives in allocations. Operating agreements will usually outline the way in which members can make such changes. Simplicity Law: What Is a Capital Account and What Do I Do With It? Can an LLC Operating Agreement Be Amended? The operating agreement of a limited liability company sets the guidelines and regulations for the company's business functions and structure. The agreement is typically prepared by the founding owner or owners, referred to as members, and kept by the LLC. An operating agreement is a legally binding document once signed by LLC's members, functioning as a contract. The agreement may be amended by the members if changes are needed.